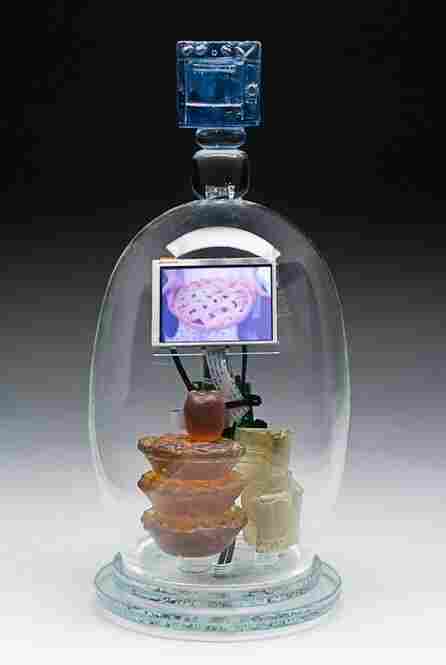 A Tiny Digital Arts Revolution, Encased In Glass Artist Tim Tate makes bulb-shaped glass cases containing a miniature video screen and player. When he couldn't find technology that worked with his art, he collaborated with scientists to invent it. "Give And Take" by artist Tim Tate. "Mom Does Desserts Best" by artist Tim Tate. "Ouiji" by artist Tim Tate. "Call For Redemption" by artist Tim Tate. "I Hear The Siren Song" by artist Tim Tate. "Stars In My Pocket Like Grains Of Sand" by artist Tim Tate. Explore more from All Tech Considered. 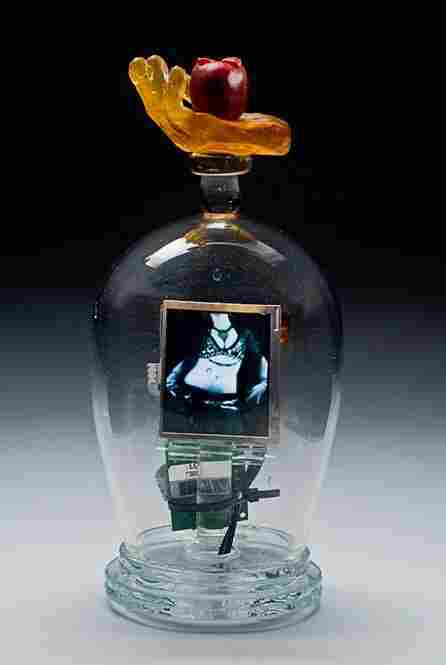 Artist Tim Tate creates work that occupies a strange place between Old World art and New World technology. 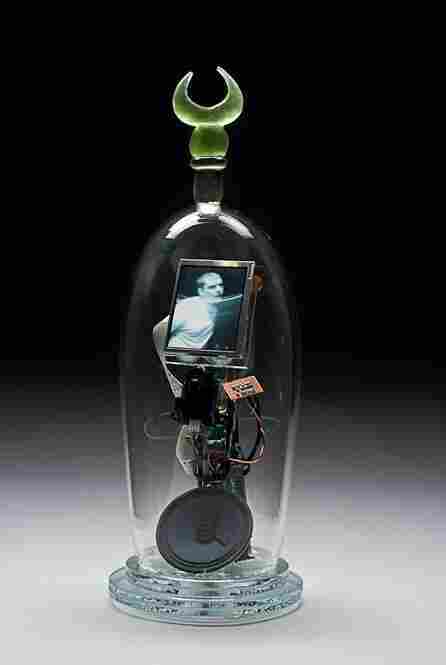 He creates ornate reliquaries — bulb-shaped glass cases that each contain a tiny video screen and player. On the screen loops a short movie of a girl walking down the sidewalk, or of an old woman baking a pie. 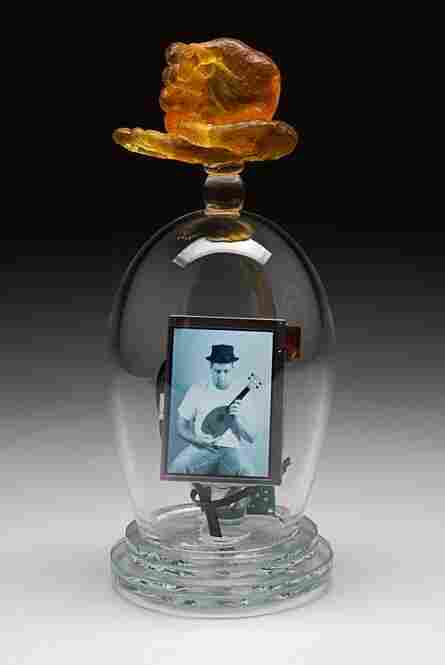 "I love video," says Tate, co-founder of The Washington Glass School. "[I] grew up, like many kids in the country, with my chin in my hand, lying on my stomach, watching endless movies." 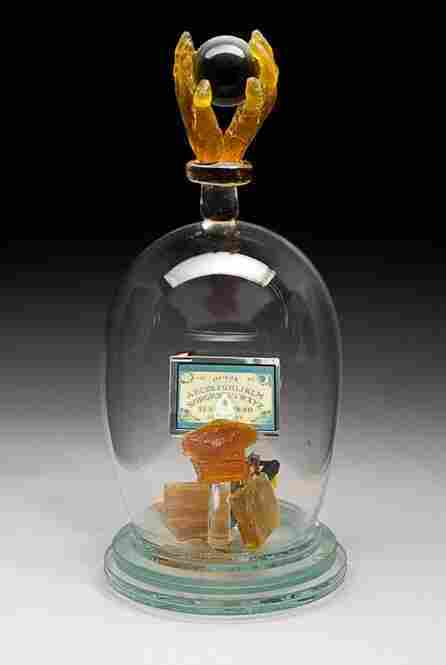 But it was a miniature television that his aunt had, a model popular in the 1960s, that inspired his current work. If museums are finding videos on YouTube, then the door is thrown open for everybody. He wanted to encase a tiny video screen like that in glass, but he hit a roadblock when he realized all of the technical difficulties that could arise. "I realized I could not sell these to a museum because there was a DVD player, and with moving parts, it would die," says Tate. "I realized I would be selling a lot of work and repairing it for the next 10 years, and I just couldn't go through that." So he spent a year working with scientists at an electronic optics company in California to develop a video player with no moving parts — just a switch on the bottom that turns on and off. He used this technology to create the artworks pictured in the slideshow above. "Right now, it's the best time to be an artist," says Tate. With so much technology emerging, artists have many more tools at their disposal. And Tate says he has found that museums are receptive to experimentation. "Museums now are much more interested in new movements that are coming in," he says. 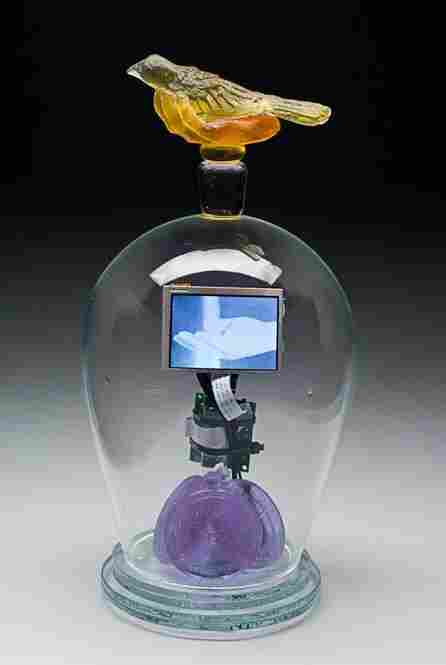 "Video, digital art, glass — these are all brand-new movements. So they've opened their doors, and they say, 'We don't even know what's going on. We are going to have to look everywhere.' If museums are finding videos on YouTube, then the door is thrown open for everybody."